Helle Jones DC Dip Hom Helle qualified originally as a microbiologist and worked in the Copenhagen Community Hospital for some years. She then studied chiropractic at the Anglo-European College of Chiropractic in Bournemouth, and qualified as a Doctor of Chiropractic in 1982. 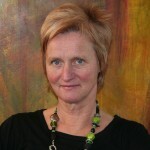 In 1989 Helle received her diploma in classical homeopathy from the British School of Homeopathy. She then studied under Lewith and Kenyon in Southampton to develop her knowledge of modern bio-energetic medicine. Following this, Helle started using the Vegatest, a state of the art computerized homeopathic system for diagnosis and treatment. Helle is a member of the the General Register of Chiropractors, and the Alliance of Registered Homeopaths. Definition: allergies involve an abnormal reaction by the body’s immune (defensive) system to substances in the environment (including food), in which excessive Immunoglobulin E (IgE)is produced, which in turn provokes increased Histamine secretion to cause an inflammatory process. ( A different type of immunoglobulin was found in allergy sufferers in 1967 by Kimishige and Terikka called gamma IgE). It is generally believed that there is a hereditary malfunction, and that the various types represent symptoms of an underlying condition. The homeopath will look to find deep seated malfunctions within the body which predipose individuals to strong reactions. In many cases homeopathic remedies can be prescribed to treat this underlying cause. 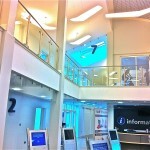 The Frome Allergy Clinic is based in the Horizon Suite in the Frome Medical Centre, which was opened in December 2012. It is a state of the art centre, and one of the largest medical centres in the country. The three main General Practitioner practices now work from the centre, with just under 30 doctors in the building. There is also an optician, minor surgery unit, nursing department and health visitor centre. It is located only minutes from the town centre; it benefits from free parking and an excellent coffe shop for beverages and snacks. The clinic is on the first floor; a lift is available as well as wheel chair assistance where necessary.